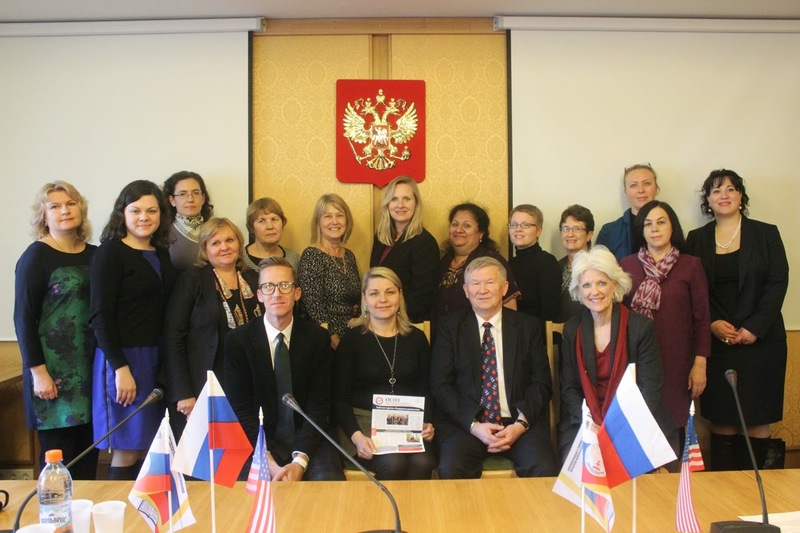 The international round table "Gender equality: problems and prospects"
On the 25th of March, 2014 within the Russian-American cooperation of institutes of civil society in a RANEPA there took place a meeting of "a round table" on a subject: "Gender equality: problems and prospects". Problems of gender equality and family domestic violence, introduction of gender subject in an education system, fight against a gender inequality in public administration became the main subjects for discussion. 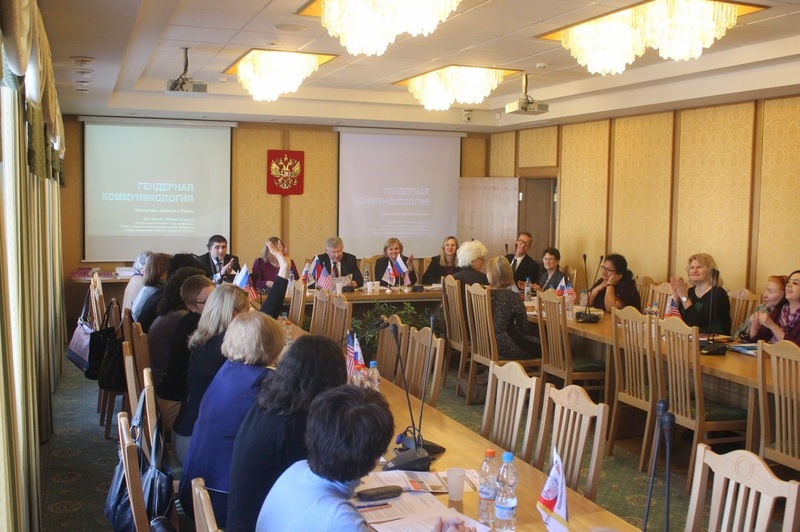 The Members of the Gender Equality Working group of the social experience exchange program of "Eurasia fund", the members of public organizations, protecting human rights, leading scientists and experts and journalists took part in the work of "a round table". 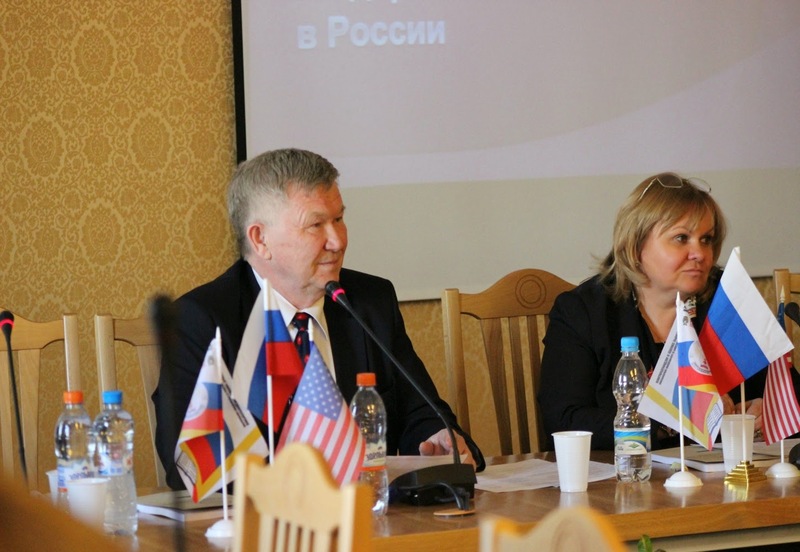 The meeting was opened by welcome speech of the deputy dean of IGSUP on international and public relations, the head of the department of public relations and media policy, professor Felix I. Sharkov. He noted that meeting of a round table was prepared with approval and under the organizational supervision of the director of IGSUP, professor Alexander I. Turchynov. The speaker noted a special role of application of modern technologies, which are forming models and application of practice of communications for creation of the coalitions based on the exchange of positive experience of two countries for the solution of social problems. The program of the author's course - "gender communicology" for bachelors of older years and masters was submitted. "The course purpose is to create the idea of essence of a gender communicology, features of the gender relations in everyday life, the public and municipal service, skills of the gender analysis of models and communicology processes", – Sharkov emphasized. The moderator of a round table, Marina Pisklakova-Parker, the head of the "Anna center", the founder of the Russia's first telephone "the hot line" help to victims of domestic violence, the cochairman of the working group on gender equality of the Russian-American program of an exchange of social experience and knowledge (OSOZ) after a greeting of participants and making an interesting introduction on a course presented all participants of round table. The reason of a huge interest in audience became the report of the corresponding member of the Russian Academy of Sciences, the chairman of the board on gender researches at Presidium of the Russian Academy of Sciences, the academician of the Russian Academy of Natural Sciences, the founder of Institute of social and economic problems of the population of the Russian Academy of Sciences (ISEPN RAHN), the editor-in-chief of the "Narodonaseleniye" journal, the expert of the UN in aging of the population, the member of the European Association of researches of the population (EAPS), the member of the European Association of the demographic unions (EADU) Natalya M. Rimashevskaya. The subject of gender equality iwas continued by Zoya A.Hotkina, the chief specialist of laboratory of gender researches ISEPN RAHN who noted that by the results of the researches, both professional sphere and also an arrangement of a family and education of children lays down on female shoulders. Also the imbalance of valuable orientations of women and the main actions of governmental social policy of the state realized in the country was noted. 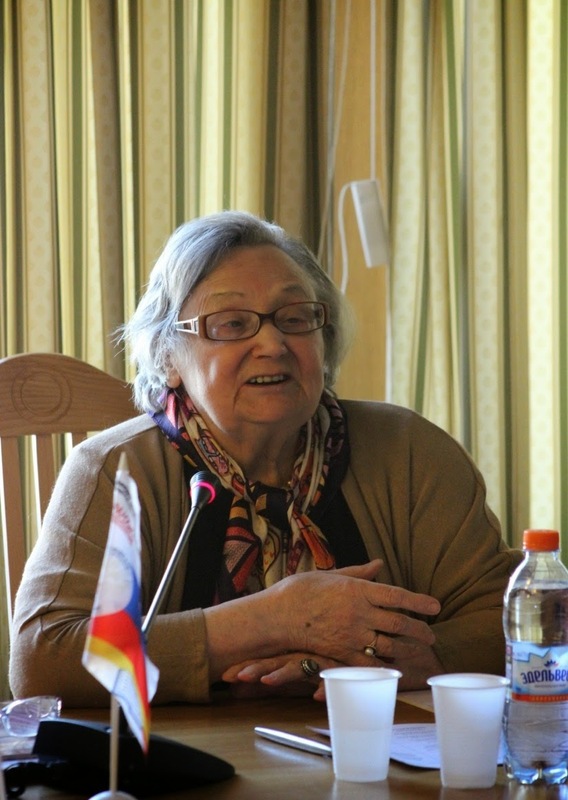 The professor of the department of public service and human resource management Natalya N. Korystyleva touched upon a subject of equal access of men and women to the public civil service. On statistical data for October 1, 2013 the vast majority of public servants are women, who are attracted by stability and social security. "However in the higher levels of public service, there are less women in it. Such a situation pose before the state and all public concerning personnel policy a problem of justy distribution of personnel potential in structures of the public service, especially on the top. ", – professor Korostyleva concluded. Professor of the department of public relations and media policy Lyudmila A. Vasilenko told about main directions of gender researches were realized in a RANEPA during last period by the staff of academy and how the results of these researches are applied in educational process. The associate professor of the department of the countries of Central Asia and the Caucasus of Institute of the countries of Asia and Africa the Moscow State University Halimakhon O. Hushkadamiva who has recently defended the doctoral dissertation, prepared on department of sociology of IGSUP covered a problem of formation of system of counteraction to domestic violence to the Republic of Tajikistan. Professor of department of public relations and media policy Elena A.Nazarova briefly presented the results of the research in this sphere and offered system of the factors influencing on domestic violence at individual, group, social and state levels to consideration. The cochairman of the working group on gender equality and the Vice-president of the international organization "Vital Voices Global Partnership" Cindia Diane Dyer made a report behalf of the American delegation with a greeting. The reports of our American guests Aaron Setliff and Sujata Warrier caused a great interest in all participants of a round table. The reports contained information on practical activities on prevention of domestic violence, legal, social, medical maintenance of victims of the violence, operating on more than 30 years extent , the effective integrated system of prevention to domestic violence. Summing up the action results Marina Pisklakova-Parker noted the big practical importance of such meetings of researchers and experts as result there can be effective technicians of prevention of domestic violence and other important and actual social problems.